Heat-resistant silicone Finger Tongs allow you to safely cook with your hands. Controlled flipping and grasping of food while cooking is easy with the flexible Finger Tongs. Some stuff you should know: Heat-resistant to 500°F / 260°C; FDA food-safe silicone; Fits right and left hands; Reduces splatter when flipping; Protects fingers and knuckles; Safe for use on coated pans; Non-stick and flexible; Dishwasher safe; 6.625″ long x 3.75″ wide; BPA free. 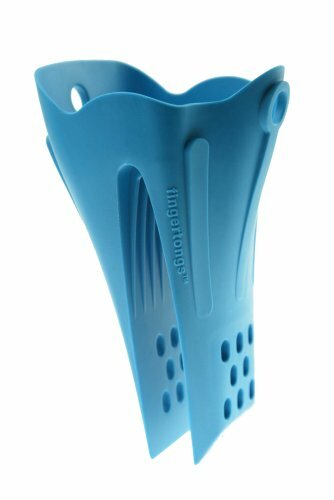 The Finger tongs are silicone cooking tongs you wear on your hand. For cooks who love to be close to their food¿no more burned fingers.